My long holiday is still going on and enjoying company of Rohit and Saurabh in Pune. 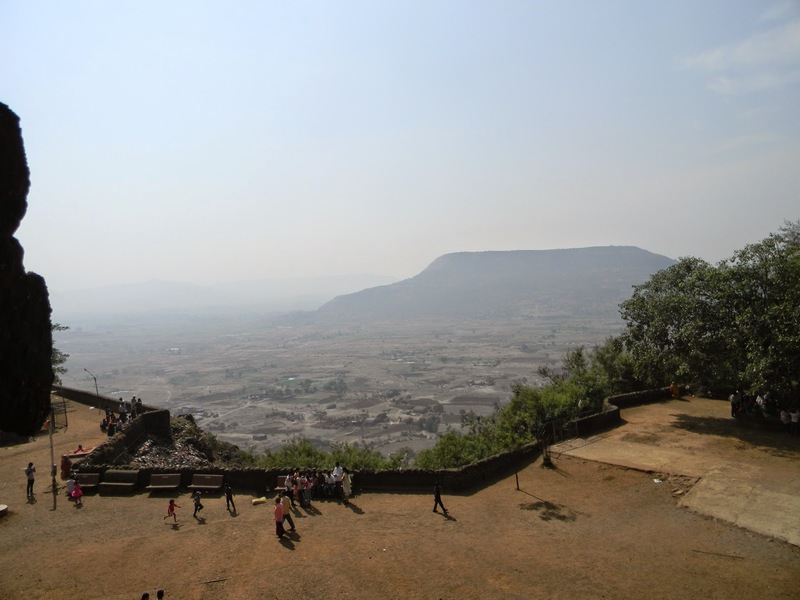 After having two fun day and lots of foods in Pune, thought of exploring Lonavala and Khandala. Both the places are very near and frequent buses, trains available to reach there. Without any thought we left the train in Malavali Station before Lonavala . 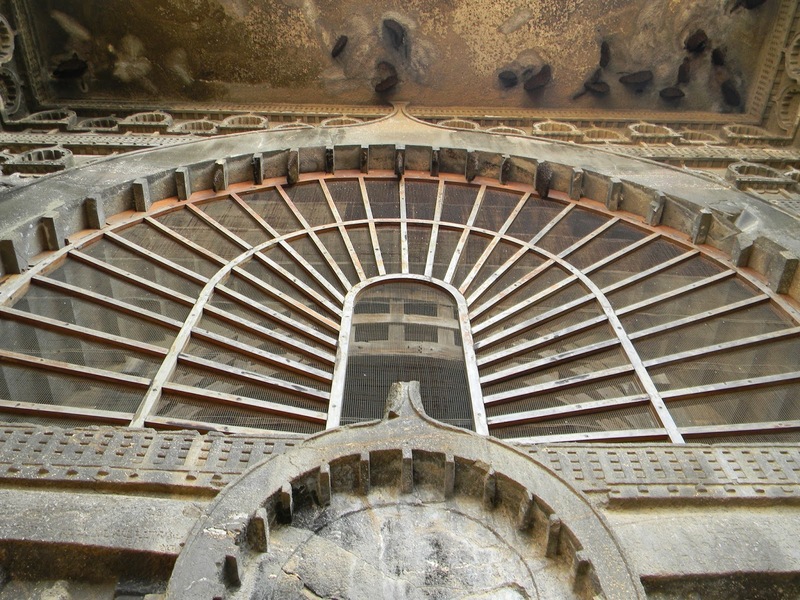 Took one Auto and reached the Karla Caves. The auto was parked just in front of the stairs. 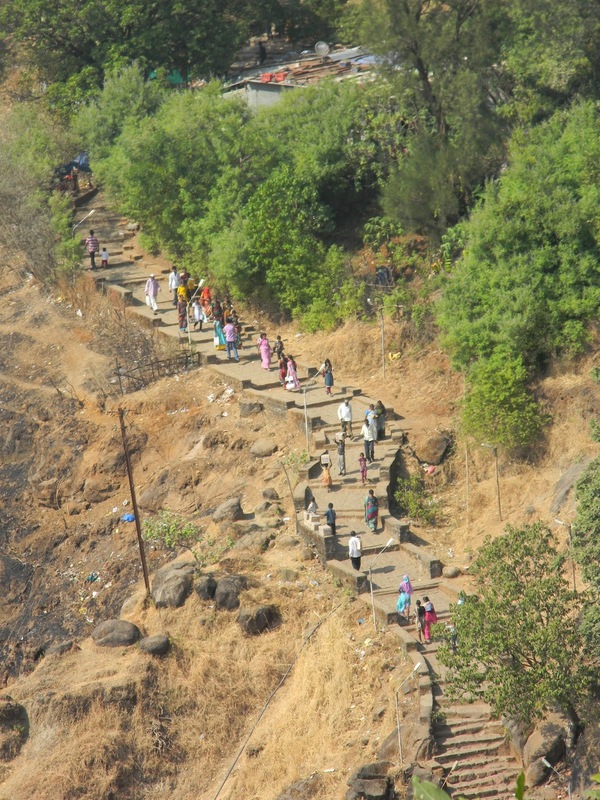 You will have to climb the stairs to reach the caves, initially it was easy but it was getting steeper. We started climbing, weather was hot and we needed water. The good thing was, there were so many small food stall, where you can stay for some time, buy water bottle and then continue to reach at the top. 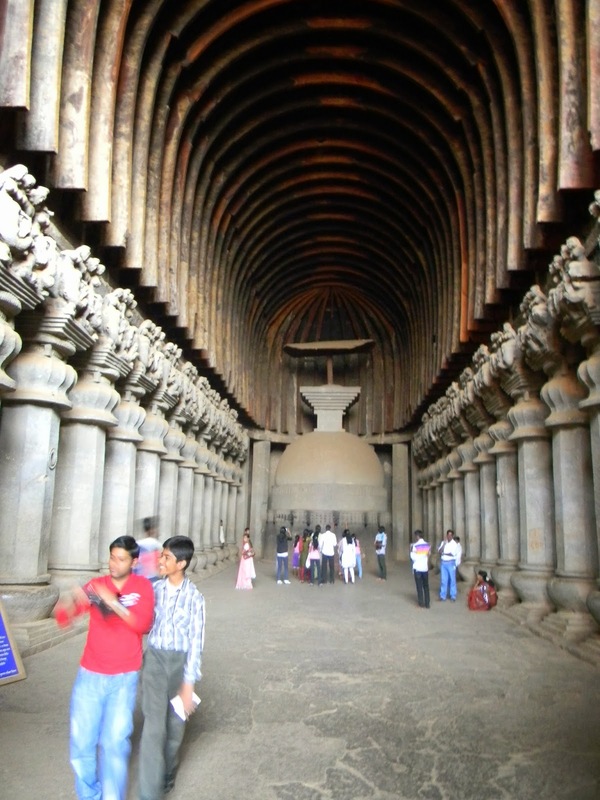 The Karla Caves are a complex of ancient Indian Buddhist rock-cut cave monuments and believed to date back to 160 BC. 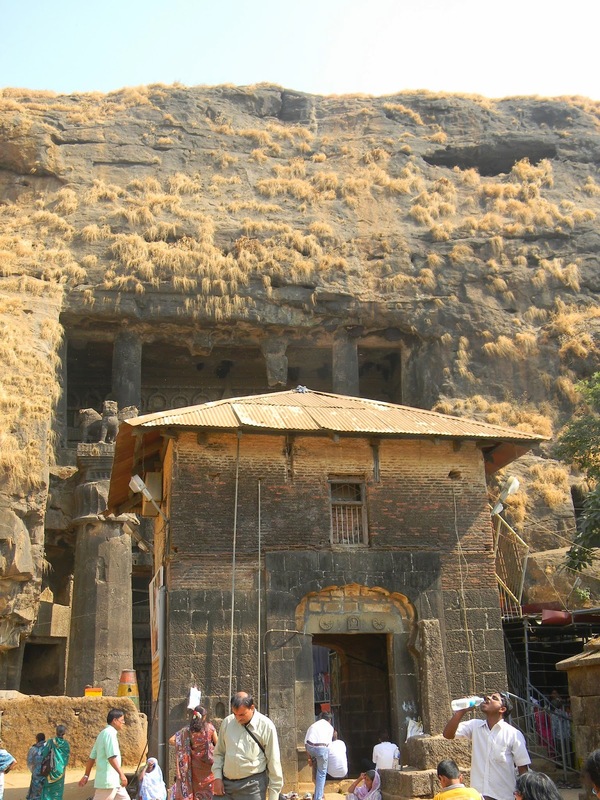 Cave complex is a protected monument under the Archaeological Survey of India. 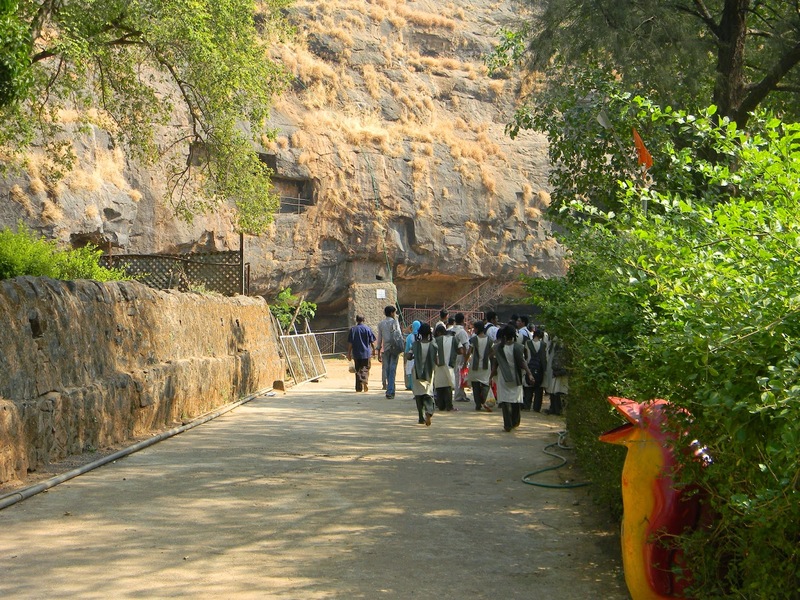 After paying the entry fees (10 Rs) and crossing the entry gate, here is the first glimpse of caves. 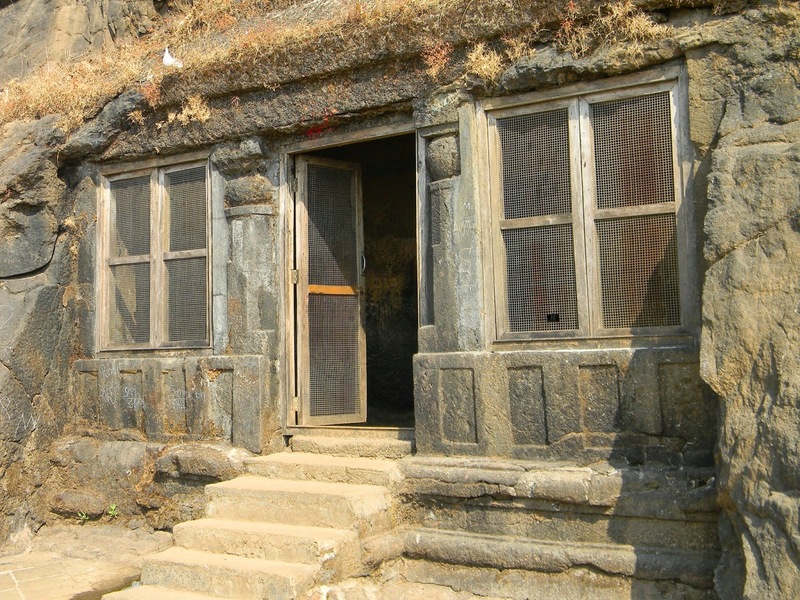 The karla cave complex is built into a rocky hillside with large windows cut into the rock to light the cave interiors. Buddhist at that time were known as successful traders and manufacturers. 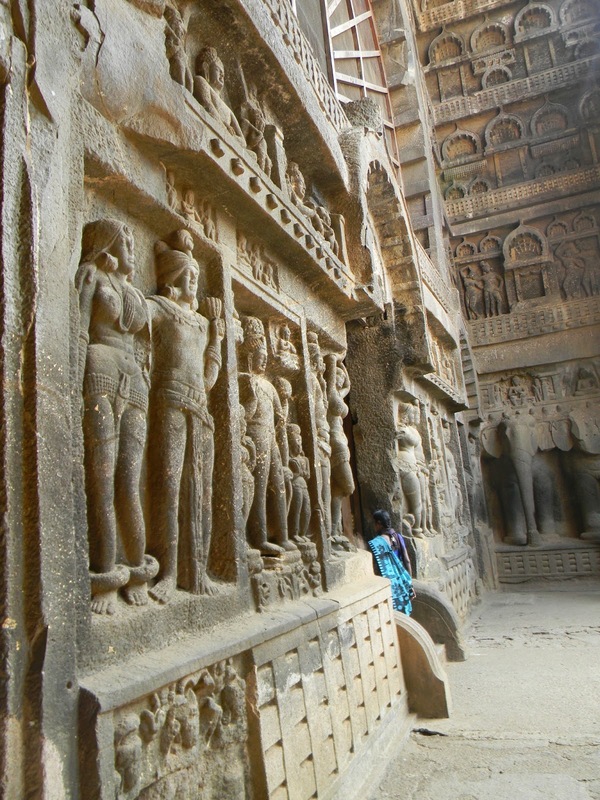 They built these caves along with temple, so that they could stay here, pray and move on with their journey. 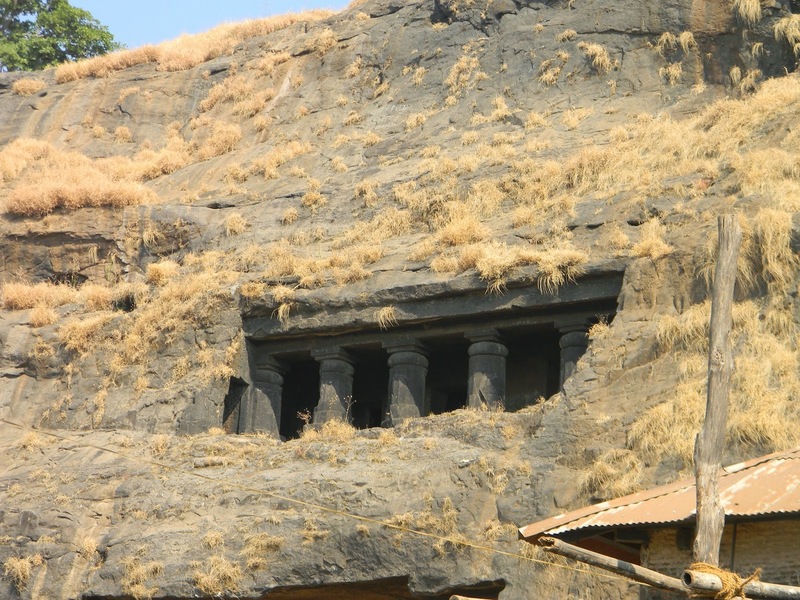 These caves were built by donation and support from many individuals. You can see their names written in the pillars. The main attraction is the large prayer hall. 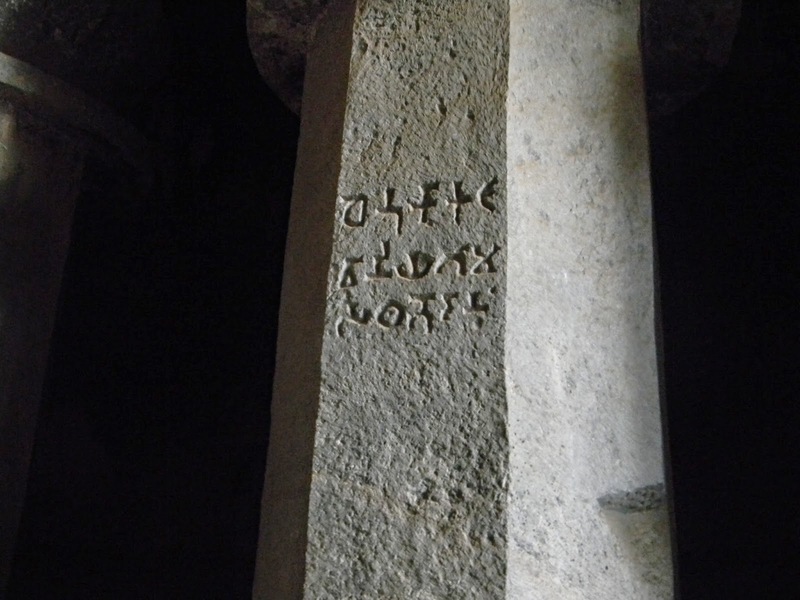 Its in the main cave, beautifully carved prayer hall dating back to the 1st century BC. 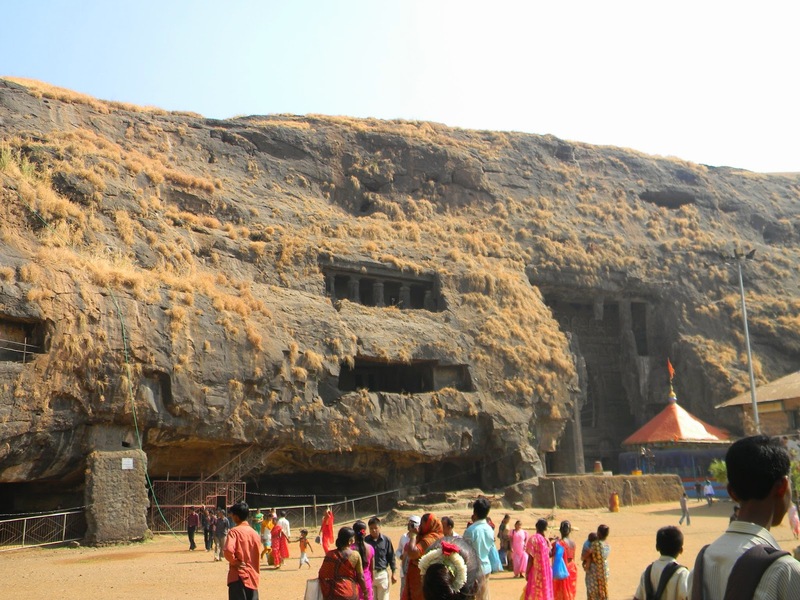 This is among the largest rock-cut prayer hall in India. that has 37 octagonal pillars and a base of water jar. The hall features sculptures of males and females, as well as animals such as lions and elephants. 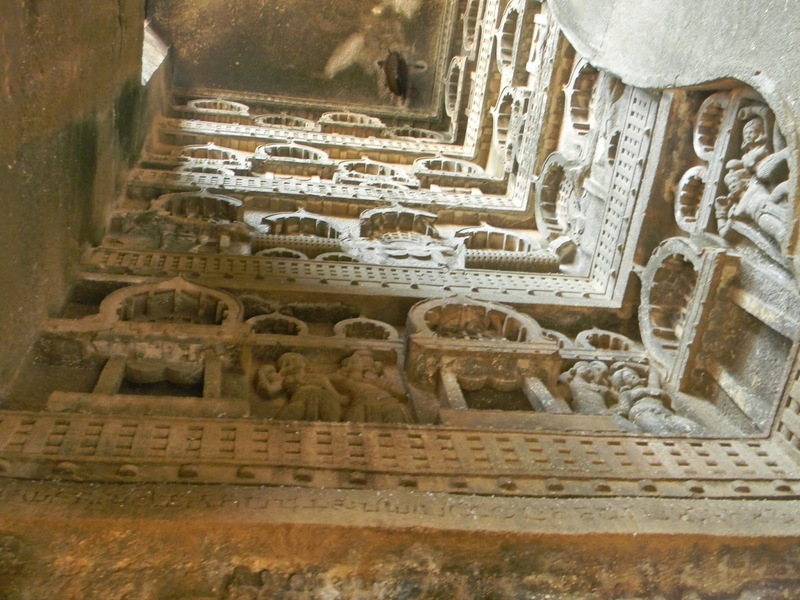 A notable feature of these caves is their arched entrances and interiors. beautifully carved and I often wonder how did people from ancient carve such beautiful structure at that time on rocky hill. 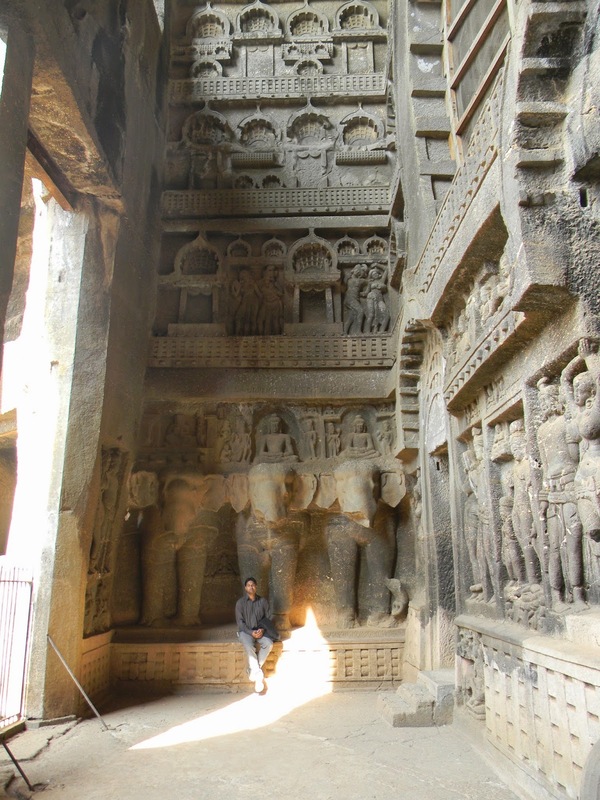 In the entrance, you could see a large window, carved-out on the walls of the caves for lighting purpose. But there was one problem, the honey bees & honeycombs. There were many!!!! Good thing was they were silent and harmless. 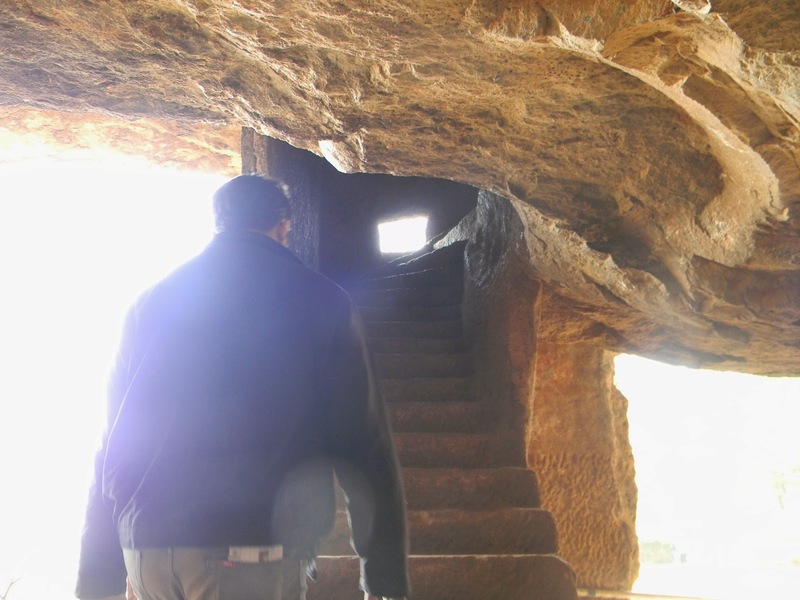 After spending some time at the prayer hall, we started exploring the other caves around. 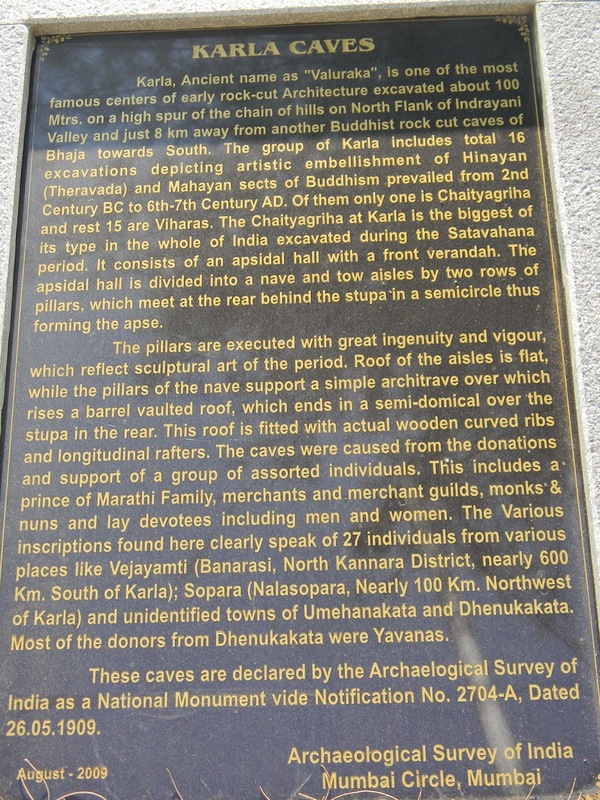 The interesting things is most of these caves are multi-storeyed. If you go inside you will FIND many small rooms. These rooms were used for providing lodging for travelling traders, serving as important location for rest, safety, exchange of information. From these caves, you can get good scenic view around the area. 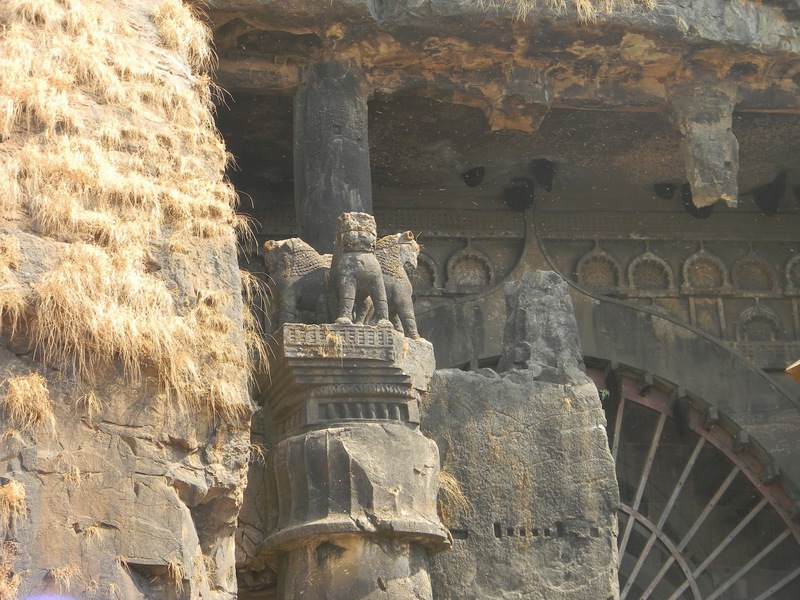 Overall it was good to visit such place and if you are in Pune, I would advice not to miss this historical place. It was crowded when I went there, many school kids around, families and lots of noise. I was wishing if all those people around can vanish and I can get some in silence and watch this historical, architectural beauty.